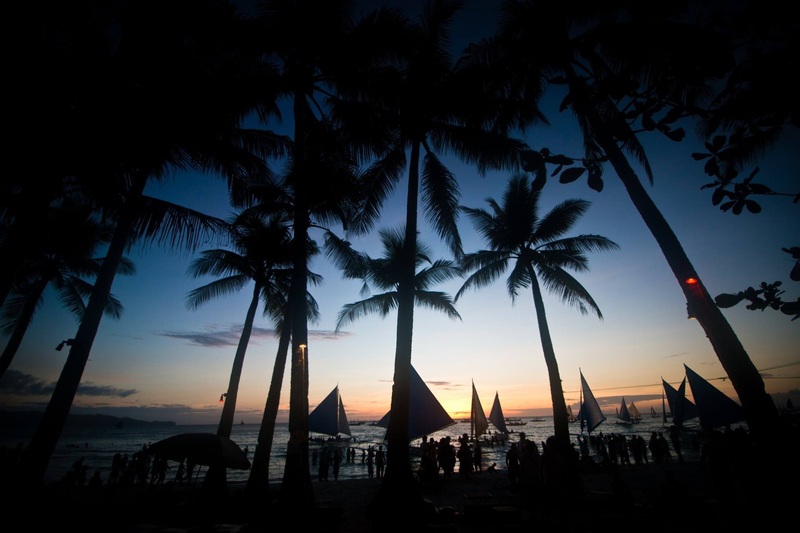 The Philippines has announced a six-month closure of the popular tourist destination of Boracay over concerns the island's famous beaches and clear blue waters have been transformed into a "cesspool" due to sustained environmental damage, CNN reports. Boracay's closure was ordered by President Duterte after he was outraged by environmental violations. The tourism boom which Boracay has seen over the past decade or two has brought jobs and investment but strained the island's water and rubbish disposal systems and its sewer system. Among the problems caused by the island's long-running tourism boom is unregulated development and pipes carrying raw effluence directly into the sea. In a survey of the island's sewerage facilities, the vast majority -- 716 of 834 -- residential and business properties were found to have no discharge permit and were presumed to be draining waste water directly into the sea, according to a report by the official Philippines News Agency. President Rodrigo Duterte — who has said that inadequate sewage treatment on the island, Boracay, has turned its beaches into a “cesspool” — directed that it be closed to tourism starting on April 26, his spokesman, Harry Roque, said on Wednesday. The government says the overhaul is necessary to save the tiny island, which generated over $1 billion last year but cannot cope under the strain of 2 million tourists a year. The island, whose revenue makes up 20 percent of country's total tourism industry, will be off-limits to visitors during the clean-up. The decision ends weeks of speculation on the fate of the popular tourist destination, after Philippines President Rodrigo Duterte complained about the state of the island in February. Mr. Duterte has said that Boracay must be cleaned up, but officials have given only vague indications that there is a plan to do so. The Philippines will tear down illegal structures, build a bypass to unclog traffic, convert tricycle taxis into electric vehicles and build a modern waste-to-energy plant to rescue its premier tourist island, the government said on Friday. The closure has triggered an outcry from island residents that the Philippine government is sacrificing the local interests to keep Chinese investments and tourists coming. The island is home to around 500 tourism-related businesses, which drew in annual revenue of $1.07bn in 2017. Boracay's Chamber of Commerce and Industry requested Duterte to reconsider the closure, arguing that not all businesses were violators and that only those found to be polluting should be shut down. "Several environmentalists praise Duterte's actions, saying that what they want right now is to ensure the issue of sustainability is at the forefront of the discussion when it comes to environmental concerns," said Al Jazeera's Jamela Alindogan who was reporting from the capital Manila.